Mobile is growing at such as fast pace that it is no longer the future. Rather, as Bing puts it, it is the present. Search engines are now helping webmasters make their sites mobile friendly. For example, Google has recently launched a new mobile-friend testing tool which lets webmasters know if their website is good to go mobile or not. Bing has been hard at work too, and is ready to acknowledge all the work you've been doing to get crawled, selected, indexed, and ranked - from a mobile perspective. Bing is actively checking your website for “mobile compatibility” - an important aspect of how it views your site when serving up results on Bing-powered search across mobile devices. When it comes to mobile, all the original recommendations still apply. We have talked about the various ways you can mobile-optimize your site. A recommended approach is to avoid separate .m URLs for mobile to prevent bifurcation of your rank. Instead, move to responsive design that adapts to the device and benefit from maximum SEO power instilled in a single URL. This continues to be the way forward for future-looking sites. Many sites still use different URLs for their mobile phone or smart phone customers or have varying levels of user experiences depending on the type of device. 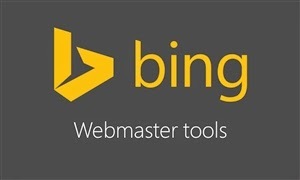 In order to understand how content renders on various devices, Bing has started to probe websites with a number of new crawlers with. In order to understand how your site behaves specifically for mobile searcher, Bing has added a couple of new crawler variants which identify themselves with a user agent that mimics some of the most common mobile device types. In general, these crawlers use a user agent string that follow the following format. The user agent strings containing “BingPreview” refer to crawlers that are capable of “rendering” the page, just like a user’s browser would. It is therefore paramount that you allow Bing crawlers to not only find the core content of the URLs themselves, but that you also allow them access to the necessary resources needed to load each page, that is, including any CSS, script, and image files.